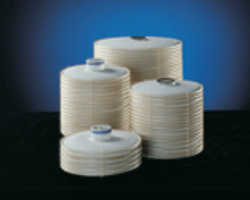 Dorsan Filtration, SL offer filter modules for depth filtration applications. 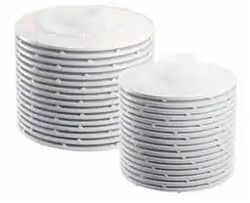 These filter media are manufactured with filter sheets that are cut into discs and then coupled with a polypropylene ring suitable for food contact use. We have avalaible the two most common diameters: 12 "and 16"
Spin-on fuel filters are designed for fast and easy replacement. Depending on their type, they are supplied with a thread to connect a water drain plug or water level sensor. For replaceable filter elements, only the dirty filter cartridge is replaced. These filter elements are also available in versions that can be completely incinerated easing the burden on the environment. The filter module provides a simple interface to run external programs on the contents of a start-stop environment. Options are available to run the external program only if the content of the environment have changed, to specify how the program output should be read back, and to choose the name of the temporary files that are created.